Harbortouch POS System Review: Fork To Fender from Harbortouch POS on Vimeo. 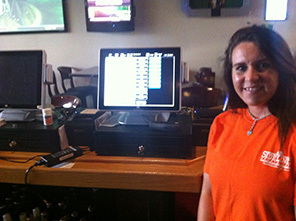 Harbortouch POS System Review: Rivals Sports Bar & Nightclub from Harbortouch POS on Vimeo. Harbortouch POS System Review: Lobo de Mar from Harbortouch POS on Vimeo. 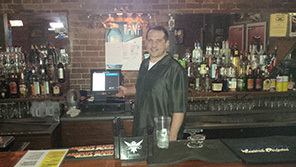 Harbortouch POS featured on Spike TV's "Bar Rescue" from Harbortouch POS on Vimeo. 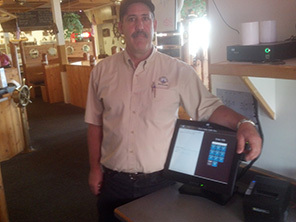 Harbortouch POS System Review: Bradley's Pit BBQ from Harbortouch POS on Vimeo. 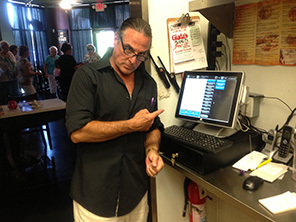 Harbortouch POS System Review: Gino's East Pizzeria from Harbortouch POS on Vimeo. 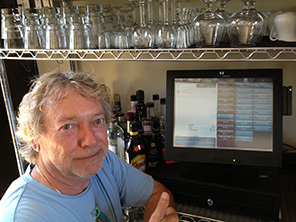 Harbortouch POS System Review: Moon Dance Wine & Spirits from Harbortouch POS on Vimeo. Harbortouch POS System Review: Neworld Cafe from Harbortouch POS on Vimeo. 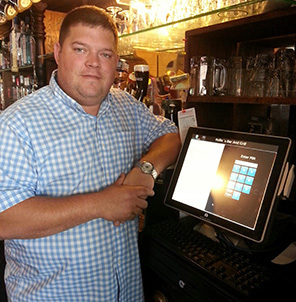 Harbortouch POS System Review: Jake's Bar & Grill from Harbortouch POS on Vimeo. Harbortouch POS System Review: Donut Mania from Harbortouch POS on Vimeo. 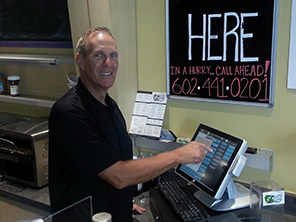 Harbortouch Echo POS System Review: Turtle Tom’s Ice Cream Shoppe from Harbortouch Lehigh Valley on Vimeo. As a cost-conscious small business, we were naturally concerned about adding expense to our operation. Our first two years of operation with a conventional cash register seemed to be working fine. With each incoming customer, we wrote down their order and stuck it on a ticket rail for processing. The person taking orders at the counter also handled incoming phone orders. 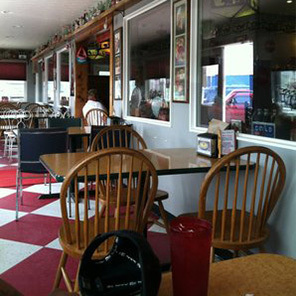 But during the lunch rush, when we have a dozen people in line and the phone ringing, we would routinely hit the wall. We were frozen by our slow system. Customers waited. Mistakes were made. It was imperative that we found a better way of processing orders with greater speed and accuracy. We made the switch to Harbortouch and since then, our customer count has grown 10%, our turnaround time for customers is much quicker, and our ordering mistakes have disappeared. Not to mention the inventory tracking, time sheets, and customer support are all top notch. Harbortouch gets an A+! 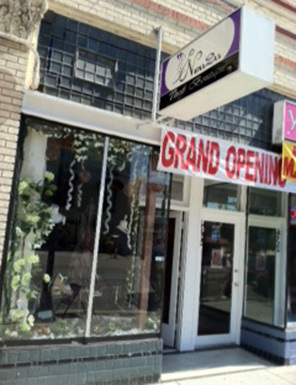 We were your classic business owners that tried to rely on a $99 cash register to run our business. We have a coffee shop in a small college town in Ohio, and found as we grew that buying a register every other year was getting old. 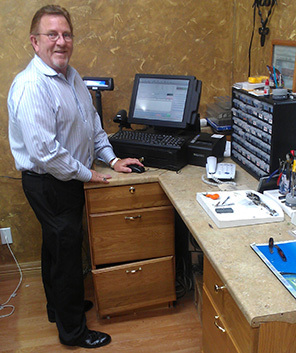 We always dreamed about the cool POS systems but knew we didn’t have the funds… until quite by “accident” one of the Harbortouch reps visited our shop. It was perfect timing and we were ready to listen. The rest is history! Our rep walked us step by step through the paperwork (and answered the millions of questions we had!). She delivered again when the system arrived and spent several weeks working with our staff to learn the system. Harbortouch entered our menu into the system initially and we worked with them as far as details, choices, sizes, etc. When we started to practice on the system, we learned how to add new items and make changes to our menu. Tech support is always available to fix things or to walk us through a question. They have ALWAYS been kind and encouraging and helpful and ALWAYS knew how to answer my problem, 24/7! The payments are small, the support is amazing, it supports re-loadable gift cards (also offered by Harbortouch), and it gets updated often. Yes, you can afford one and yes you will love it! We have had ours for almost one year and are very thankful. When my wife and I were researching POS systems for our new jewelry store, we looked at a variety of options. Harbortouch was the best option for us without question. We found their POS system program to be the perfect fit for us, and were encouraged by their excellent processing rates. Ever since they installed our system, we have continually been impressed with their unparalleled customer service. Every time we have a question, a knowledgeable and courteous customer service person has been there to answer it. It’s easy to sell someone a POS system or card processing, but it takes a special company to take the time to have polite, well-trained representatives who are willing and able to help. In today’s day and age, they are a welcome assistance to our business (and a bit of a rarity these days). 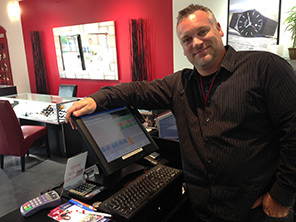 The Harbortouch POS system has had a huge impact on my business. The system is easy to set up and use. We can keep inventory, change and add new menu items and prices with ease and provide quick sales turnaround which leads to increased customer satisfaction. The speed of approving a credit card transaction takes seconds! We also use the system for tracking employee hours and payroll and sending messages to employees on a daily basis regarding specific duties and news of the day. The customer service staff at Harbortouch is very helpful and always exceeds expectations. I am very pleased with the service and discover new ways each week to make running this business easier with your system. We are a three year old business and began with another brand POS after doing much research. Almost from the beginning we were disappointed in the performance of the system, but mostly we were disappointed with the response to our questions. Often we could go weeks without getting any response. It wasn’t long before we realized the mistake we had made and began doing research again when we discovered Harbortouch. This time we knew more about the questions we needed to ask upfront. The sales people at Harbortouch were knowledgeable, honest, and very responsive to all of our questions. We’ve been extremely pleased with the performance and uptime of our Harbortouch system. What few problems we have experienced in over a year were usually the result of a misunderstanding on our part of what we were trying to do. The support we’ve received has been AWESOME. We usually get someone on the phone immediately when calling. On the few occasions when we’ve left a message, we’ve gotten a call back within 30 minutes. As a final comment, the release of the Lighthouse software has made our life so much easier and made analysis of our business much more efficient. We are extremely satisfied with our Harbortouch POS system. We have received nothing but great service from our initial inquiry through today. The system itself has met every one of our expectations, and is terrific to use. 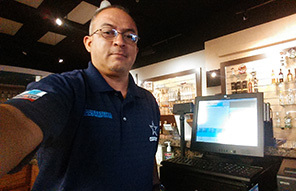 I have over 20 years experience using POS systems in retail stores and restaurants, and this system has been the easiest to use, and more importantly, the easiest to train new employees on. I highly recommend Harbortouch POS systems! 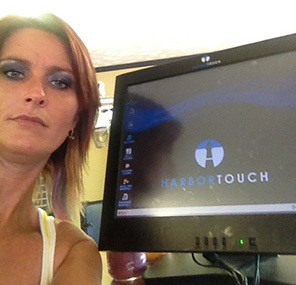 We are very satisfied thus far with our Harbortouch POS System. 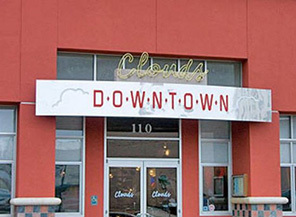 It was all programmed before it was sent to us and the people that set it up were very patient and helpful in getting all our inventory and menu items into the proper categories. The system was easy to learn and train with and we have had very few issues. What little confusion we had was explained to us and resolved quickly. I would recommend this product to any small business. As a business just starting out, this part of the process was overwhelming, but Harbortouch made it painless. Thank you to all involved in helping us get on our feet! Harbortouch has met our expectations and needs from the first day we contacted them through over two years in business. Their customer service team is exceptional. Whenever we’ve had an issue, they’ve worked with us to resolve it quickly, no matter the day or time. If it wasn’t resolvable right away, they persisted until we were totally satisfied with the solution. Not that there’s been that many problems. The hardware and software have stood the test of time. Also, since we got great training, we’re able to do most everything ourselves, which is a win-win for us. Harbortouch is amazing! It has simplified our restaurant and is so easy to use. When I can’t figure something out for myself, customer service is second to none. They are so quick and efficient! 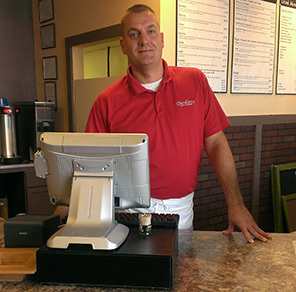 Harbortouch has helped eliminate errors on tickets and streamlined our food stations. 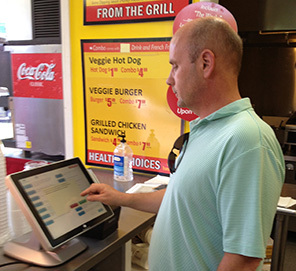 Our BBQ restaurant runs even quicker now with our touch-screen POS system. It is definitely an asset to our company! 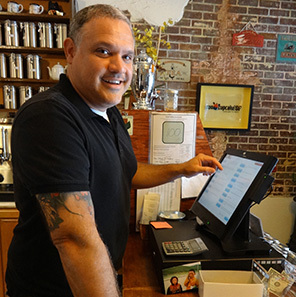 We were nervous about using a new POS when we started with Harbortouch, but the excellent training we got and the troubleshooting assistance we received was awesome. The software’s robust reporting capability is very helpful in tracking our daily sales. The Harbortouch gift card system is also a great asset to our business. 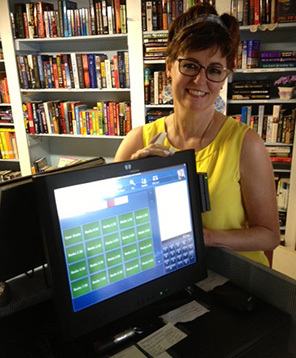 We couldn’t be happier with our Harbortouch POS system! We received our POS systems about a year and a half ago. Harbortouch has met and exceeded every one of our expectations. 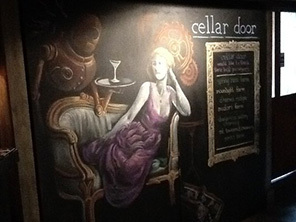 We have an extensive inventory of wine & spirits and our system is very user friendly and we can train new employees in a short amount of time. The touch screen capabilities enable us to quickly check out our customers during peak hours. We are very satisfied and would highly recommend Harbortouch to anyone opening a new store or contemplating switching to a new POS system. I would highly recommend Harbortouch to anyone looking for a POS system. Their tech support team is second to none. They are always there 24/7 and go out of their way to be helpful and follow up when they say they will. Our sales rep is nothing less than perfect; he calls back when he says he will and always follows through. Harbortouch is the company I have and will continue to recommend. Roxy’s has been on board with Harbortouch since day one. We are proud to say that we are very happy with the service. Our sales representative has played a tremendous part in our satisfaction by always following up and taking the time to not only solve our small issues, but also explain the answers to any other questions we have had. Switching to Harbortouch has been one of the most positive things I have done for my business. 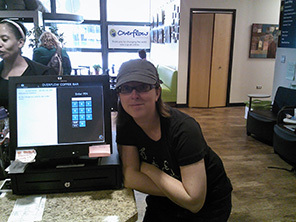 Organizing and maintaining our menu options on the POS is very quick, simple and easy. The interface is the most user-friendly I have found in any POS system and that helps shorten the learning curve for my new employees. Generating reports to help analyze the different aspects of my business is also very useful. 24/7 customer support, the affordable fee structure, and the software and hardware support are all superior to other products available. Our Harbortouch system has been great! Also, the support department is very easy to deal with. With the remote assistance, we call in if we have an issue and someone remotely logs in to fix the system. Another great aspect is the nightly off-site backups. With our old POS system, we lost our inventory twice due to issues. Harbortouch’s nightly backups help to ensure we don’t have this problem in the future. I have been using the Harbortouch POS system for about two years. I have only had to call the help desk two times and neither problem was the fault of the system. They recently updated the software and I did not need to do anything. The tracking and credit card processing is quick and cost effective. I would recommend this to anyone looking for low out of pocket expense. Thank you Harbortouch! 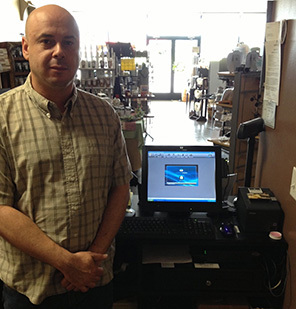 The Harbortouch POS system is easy, clear, descriptive, intuitive, and covers all aspects of our business. I love how it tracks everything for our business. It’s great for me as a business owner to keep track of revenue, and average sale by customer. We have 2 locations, so I love how it communicates between systems so easily. I can send the manager of my other store a message and know she’ll get it. Plus, the technical support is phenomenal! We’ve had a wonderful experience so far with Harbortouch. We’ve had virtually no problems with equipment, and the one call to technical support we did have to make was relatively late in the evening, answered very quickly, and provided an expedient solution to our issue. The pricing is also very competitive; I manage a community bank branch in the same city, and we would not have been able to match the processing fees for credit cards. Since credit card payments are integrated with Harbortouch, this also eliminates the need to purchase a separate credit card terminal, resulting in further savings.Since opening our restaurant, I’ve observed a number of other POS systems used at area businesses, and it’s become obvious that we made the right choice when we partnered with Harbortouch. 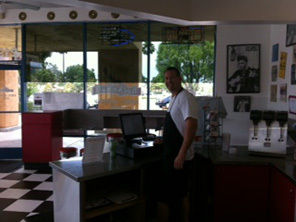 Rock N Roll Café has been using a Harbortouch POS system for two years and we are very happy with it. 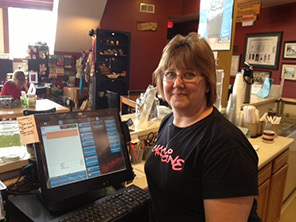 The POS is very user friendly and beneficial to our business with reports to help manage out menu items and ordering. We recommend Harbortouch to any business that wants to be successful and efficient. Customer service has been great and is always willing to lend a hand to make out job easier. Thank you for all your help! Our POS provides daily tabulation and verification of all sales, credit card transactions, hours of employees, inventory of stock, and gives us a printed record of all key reports. The system is easy to operate, easily explained to new employees and has been very reliable. Tech support is available 24/7 and we receive regular updates by Harbortouch to keep our system running smoothly. 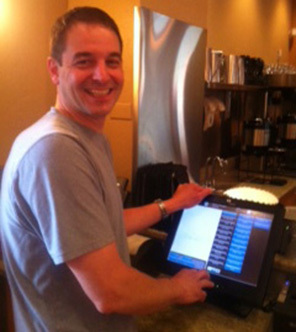 Going with a touch-screen POS system is one of the best decisions we have made. We could not be happier. I am not only very satisfied with Harbortouch but very grateful. 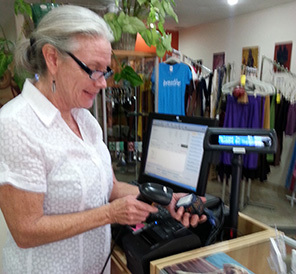 As many small businesses know, POS systems are very expensive and sometimes out of reach for some of us. Harbortouch put what was out of our budget within reach with a very affordable solution. Harbortouch did all of the work for us and since putting Harbortouch to work we have noticed increased sales and profits due to the system. After talking to 3 of my friends and co-restaurateurs about their experience with Harbortouch, I decided to go with the program. Everything from the beginning until the present has been an excellent experience. The set up and initial training was very easy and the support since has been great. Also, there have been no additional expenses that many people fear when signing up with a new program like this. Overall I give two thumbs up to Harbortouch. 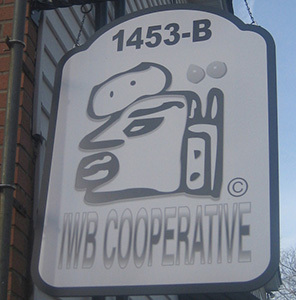 The IWB Cooperative researched many POS providers before choosing Harbortouch for their excellent commitment to customer service, warranty provision and 24/7 technical support. 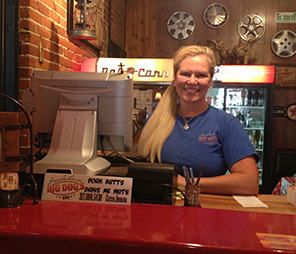 The staff is always friendly and very helpful. 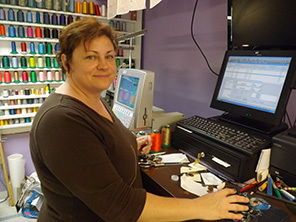 The Harbortouch POS enabled us to organize our inventory quickly and increase sales. 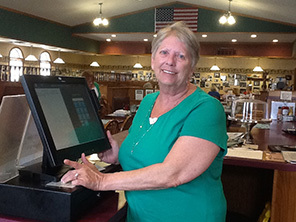 The Harbortouch POS system plays an integral role in the sales management of our Not for Profit Consumer Cooperative; particularly because we offer two separate price points on the packaging and advertising of all of our products, goods and services (a general consumer price, as well as a lower co-op member price). The POS System assists us to easily and professionally manage our VIP customers (co-op members), general customer base and daily shipping. We absolutely love the Reports feature for tracking the sales of the various organizations which are in association with the IWB Cooperative. 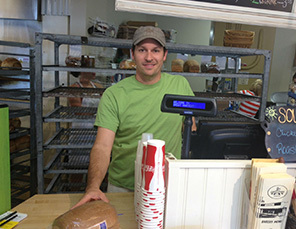 We look forward to expanding our co-op with the Harbortouch POS system! I had been looking at POS systems for several years, but I was very intimidated by the technology and the cost of them was outrageous. After several demonstrations I didn’t really feel comfortable with them, but then I found Harbortouch. The Harbortouch sales rep was friendly and after a short online demo I was sold. We have been using Harbortouch for over a year now and the staff loves it. As the owner, I especially love the reports you can generate and the ease of changing prices from the office using Lighthouse. Thank you Harbortouch for making a POS system affordable and easy to use. 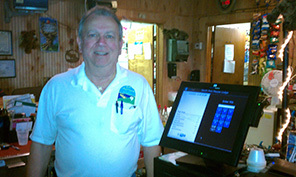 I love my POS system from Harbortouch; it makes my job so much easier. It keeps track of my inventory and lets me know when to order more. I can book my clients and keep track of all their color formulas and phone numbers. I can also print out reports of all my sales. It makes my life so much better. Thank you Harbortouch, I couldn’t do it without you. P.S. Customer service is the best I’ve ever worked with - they have taken care of any problem I’ve had right away. I liked the company from the first time I talked to my sales representative. From the time of scheduling the install to the training, this is a company that prides themselves on customer service. Awesome company. I have and will continue to recommend Harbortouch. Harbortouch has been great! The system is very easy to use and learn. I have recommended it to several folks. The Harbortouch support staff is great too! I’m never on hold for too long and the support staff is very helpful. I look forward to using this system for a long time to come! 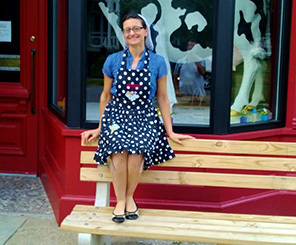 Jane’s Hunger Paynes has been partnered with Harbortouch since 2011. With Harbortouch, we’ve grown from manual steps in our daily operations to an innovative and easy way of operating and managing the business. When we did run into some bumps, tech support stepped right up and took control of the situation. Cost and value are of the utmost concern to small businesses and Harbortouch takes this into consideration. Recently we took advantage of the Lighthouse system to manage our POS remotely and that was very convenient. Overall we couldn’t be happier with the service and the performance of Harbortouch. Signing with them was definitely a good decision on our part. The Harbortouch POS has been very effective and reliable in our operation and in managing both our inventory and customer accounts. We have not had to call technical support very often, but when we did, it was very good. The sales staff has been very helpful in working with us and creatively finding solutions to our problems that have helped us adapt to the changing economic conditions. We highly recommend this product. What I love the most about Harbortouch is the software. It is so easy to use and it is very easy to change configurations for my business. The reports and statistic graphics are outstanding. They are very easy to read and easy to compile the data. Also, the touch-screen works very well. Overall, I am very happy with my Harbortouch POS. 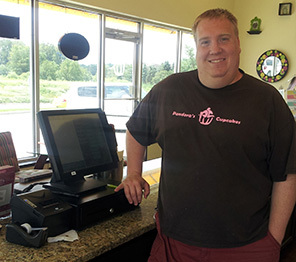 I added a Harbortouch POS system to my business back in July of 2011 and it has been an amazing experience and tool for my business ever since. The features are outstanding, tech support is top notch and its speed is second to none. I have particularly been fond of the reports features that help with my accounting and payroll support. 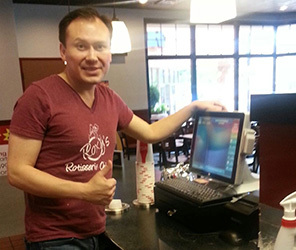 In early September of 2012, I added a SECOND POS system because the demand for it was there! Thank you Harbortouch for putting together such a great product! I highly recommend your products to anyone in the service industry. The software is so easy to use it requires very little training, perfect for our seasonal restaurant. The reports provide detailed insight to our daily operations, with just a few clicks of the screen. Harbortouch also has unparalleled live customer support. I’m happily surprised to call at anytime of the day and get the help or answers I need. Support is friendly and knowledgeable. I would recommend Harbortouch to anyone looking for a better POS system. I love the Harbortouch POS system! We are able to keep track of our sales and purchases easier than ever before. Now we can do a layaway and special order option which has increased our sales. We can customize our receipts so that our clients receive a professional receipt with our store policies. And the tech support is impeccable! When we call them up, they log on and help us work through the problem. I am very happy that I signed up with Harbortouch.